In 2030, I accompanied my parents to Mecca. It was about a 10-hour flight from JFK to Madinah, where we spent six days getting mentally prepared for our Hajj. This was the first year the Al-Hajj mobile app came out publicly, so three weeks after I registered on the app, each of us received a box by certified mail with our separate electronic cards and Al-Hajj bracelets which we’d carry and wear throughout our journey. The Ministry of Hajj also gave us an Al-Hajj AI earphone which gave us all the instructions we needed. If not for that special AI kit – especially the card – we would’ve had difficulties obtaining visas because of the large number of pilgrims and rare number of visas allocated. This year, all was done via blockchain technology, and smart contracts automated all. Our first stop was Medina. In pre-Islamic times, Medina was a desert oasis where travelers rested their camels and themselves. In modern times, you’ll see the same travelers with their white robes, red or black checkered head-scarves, and occasional camels. You’ll also see shopping malls and hotels. The Al-Hajj earphones directed us five times a day for six days straight to the Al-Masjid an-Nabawi (or the “The Prophet’s Mosque”), to get into the meditative state. The Mosque holds almost 7,000 people, and when we got there for Friday prayer, it was pretty full. Before we went to the airport, we took thorough baths and dressed ourselves in white seamless robes of terry cloth that pilgrims wear to erase economic differences so all of us are alike before God. We used that special card to swipe our hotel location into the sleek Al-Haramain self-driving monorail, so it got us to our particular hotels in Mecca in less than four minutes. Mecca was one of the wildest rides in my life. 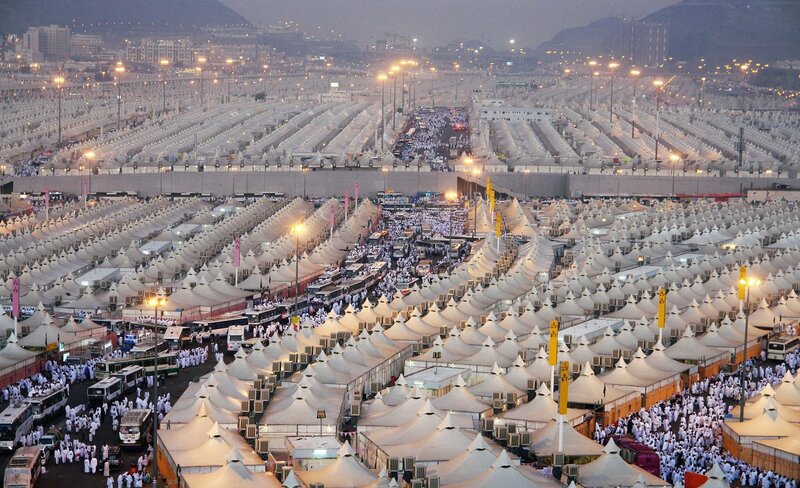 Pilgrims were coming from scores of directions, driving cars, vans, and buses, with people in white robes straddling the roofs. I saw one pilgrim jumping from the roof of one bus to another, others climbing the sides. Everyone jostled to the same destination. Since Mecca is a small city with about three million people trying to get their rituals done at the exact same time in a very constricted timeline, you can say the Ministry of Hajj has a monstrous job to keep everyone safe and everything orderly. In fact, Hajj is the largest annual pilgrimage in the world, with more than 2.35 million people attending in 2017, according to the Minister of Hajj and Umrah, Mohammad Saleh bin Taher Benten. Our new technology expedited much of the process. For example, our electronic card eliminated hotel booking. All we had to do was swipe it into the door of our hotel room where it registered our details. Blockchain technology also transferred our luggage to our hotel rooms well before we got there. Masjid Al-Haram, the grand Mosque, is the holiest place in Islam and holds more than four million people, with most waiting their whole lives to visit. 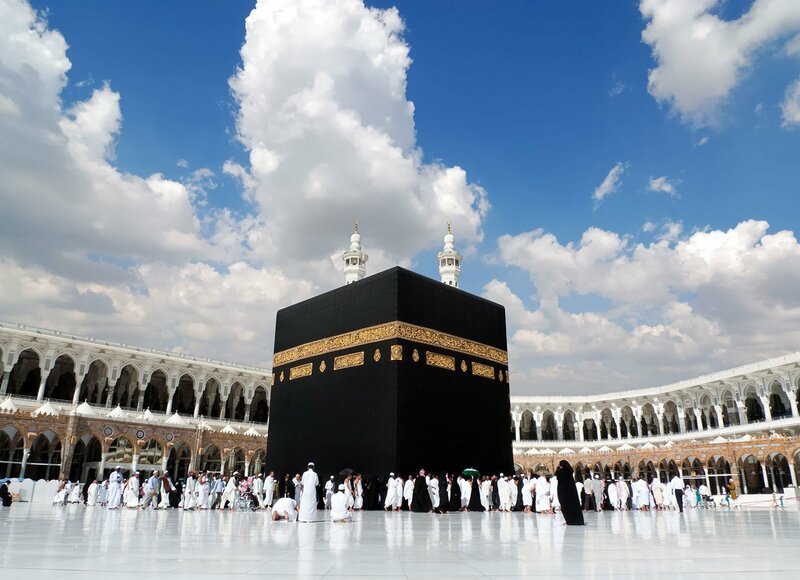 In the center of the Mosque is the Kaaba, a black box built around 2030 BC that people prayed to long before Islam started. The Prophet Muhammed dedicated the place to God. This year, the Al-Hajj bracelet helped us count our seven counterclockwise laps around the Kaaba. I had my parents on each arm, interlocked, and we jostled past hundreds of thousands of other people, the bracelet beeping with each rotation. There’s five days to complete the seven other rituals. We walked and ran back and forth between two two very long corridors called al-Safa and al-Marwah. The earphones beeped when to start jogging. The bracelet showed us where to go each step of the way. We spent a day at Mt. Ararat (also called ‘Arafah), where the Prophet delivered his last sermon, meditating our sins. People camped out with their sheep or goats making Mt. Ararat look like a snow-covered peak. At Muzdalifah, we stopped off the bus to collect stones and threw prayer rugs down on the side of highway between sleeping bodies to say our prayers. Then, we drove to the Valle de Mena (Tent City), where a population about the size of Seattle tents for about a week in white tents. That’s where we threw 21 stones at three green pillars with tectonic rumbling sounds that represent the demon. All this time, the Al-Hajj earphones fed us the prayer for each spot. Before we ended Hajj, we had to repeat certain rituals, like revisiting Satan two more times, returning to Mecca and jogging another seven laps, all before we slaughtered a goat to celebrate the end. Once done, we shaved our heads to show we’re Hajjis. Dealing with Hajj every year challenges the Ministry of Hajj. We’ve had hotels and hostels collapse, people trampled, bombs explode, and pilgrims fall off ramps. At the Jamaraat, for instance, pilgrims would throw stuff like shoes, pieces of wood, stones at the pillars representing the devils, killing people. Our new incredible technology made Hajj a hitch this year. If we lost a relative or friend, we simply accessed our Al-Hajj card details on the mobile app. This connected with the other person’s phone to help us track them. The earphone also acts as translator so we can communicate with strangers in their different languages and use it to help someone find their way, or ask an official or tour guide for help. The only thing I regret is that the hadith al-Bukhari, (Muslim 1211) narrates that Muhammad told the Mother of the Believers ‘Aa’ishah” that the Pilgrimage is hard, but the reward matches the challenge. All this computer technology snitches my reward. 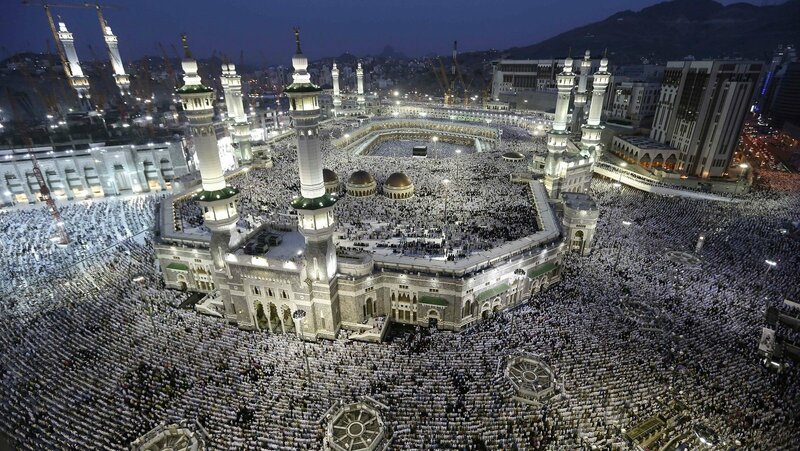 Postscript: July 2018, Saudi Arabia introduced the “Makkah Route" in Indonesia and Malaysia, for starters, to boost the trip to Mecca and Medina. Services include issuing visas, expediting customs and passport procedures, facilitating health requirements, and accelerating luggage control. According to the Ministry of Hajj, the rest of our fantasy tale will be out 2030 in lockstep with its National Transformation Program.